Hello Beauties! Apparently I've gone a little fragrance mad recently, as today I'm back with yet another fragrance - Ari by Ariana Grande. I wouldn't normally post two fragrance reviews in one week, however I've been mixing up my perfume stash for the upcoming autumn season so thought I would share with you some of the new ones I've been trying. Ari by Ariana Grande is the first fragrance from the teen pop sensation and it's everything you'd expect from her. 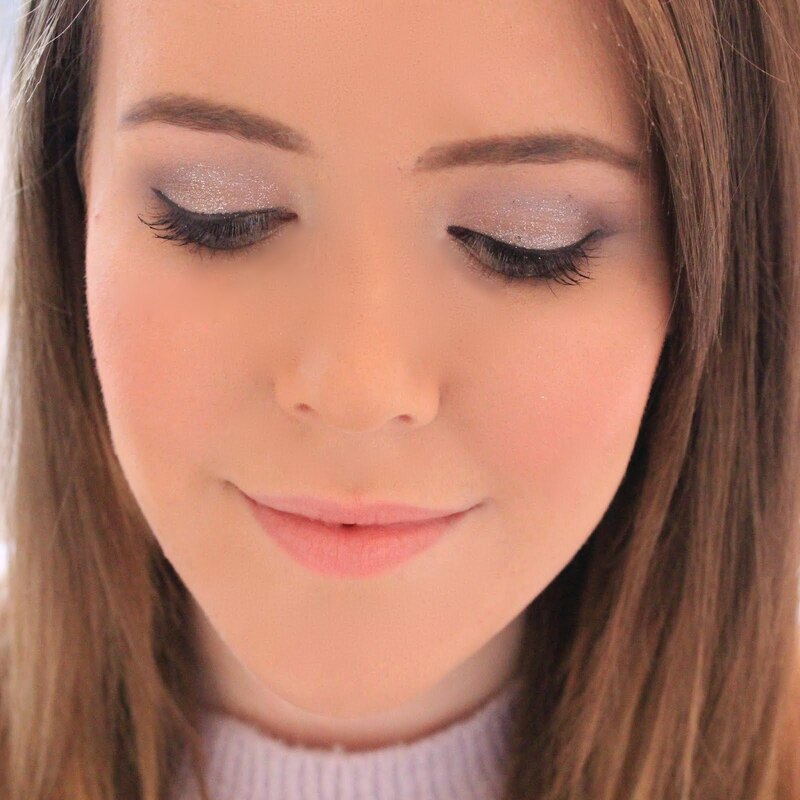 Cute, sweet, girly and perfect for teens and young adults. The bottle is a peachy pink colour with rose gold details, and most notably, a giant fluffy pom pom attached to it. Now, I'm all for a bit of faux fur and god knows I love a pom pom, but even I think this one is slightly excessive. I think the pom pom design would be cute if it was just a tad smaller, but with it being the same size as the bottle, it's a little annoying and just way too big. 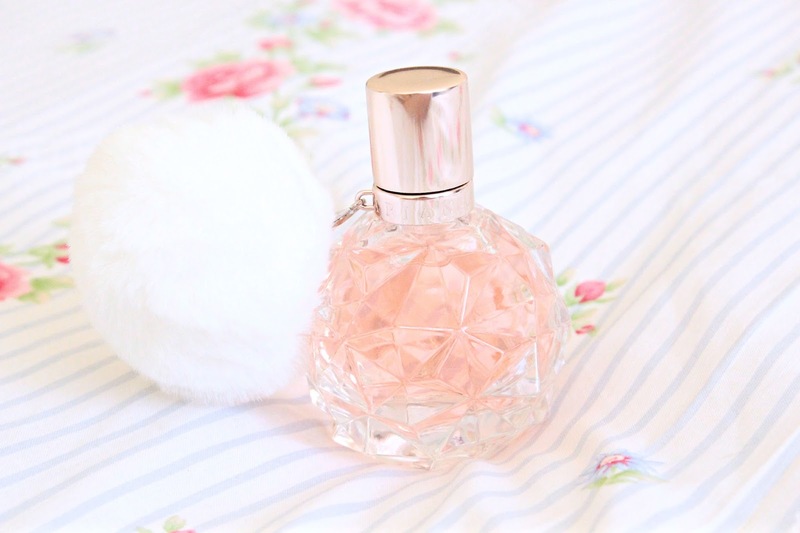 Other than the larger than life pom pom, I think the bottle is cute and embodies Ariana's style perfectly. Ari has top notes of crispy pear, pink grapefruit and juicy raspberry, a hear of soft muguet, rose buds and vanilla, and base notes of marshmallow, creamy musk and blonde woods, making it a sweet and feminine scent with floral notes. In all honesty, this fragrance is a little too sweet for me to wear on a daily basis, but for days when I'm looking for something a little sweeter or for use in the evening, it's perfect. Ari by Ariana Grande is available from The Perfume Shop for £23, which I don't think is a bad price at all, making it perfect for the younger audience who may be just starting to get into wearing perfume. Love the vintage-esque bottle and the idea of pear and raspberry combined in a fragrance sounds heavenly. I love sweet perfumes so I'm definitely going to try this out when I'm next near a perfume counter! Im not a fan of sweet fragrances so I will pass. That bottle is so cute, I love the fur pompom! I will have to go and have a smell of this, I love a celeb fragrance. Plus, I am sucker for packaging and the pom pom is just fab - but I know, a little over the top! This sounds so nice and a lovely bottle and I think I would agree with the pompom but it does add more cuteness.